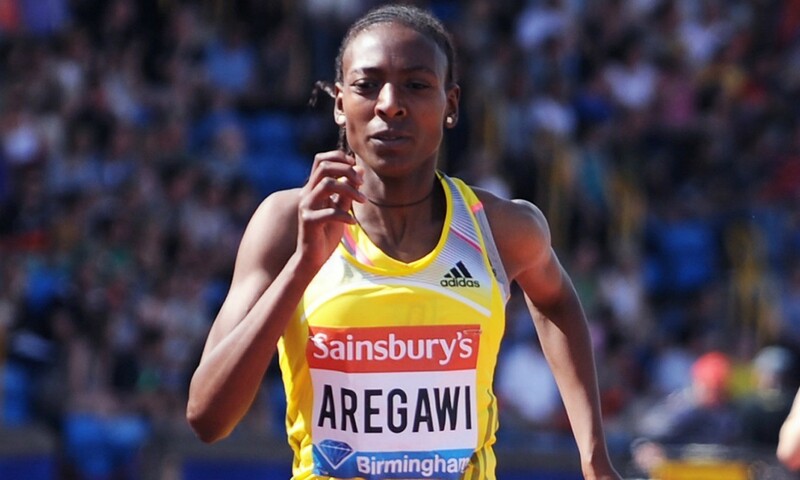 Sweden’s Abeba Aregawi will go up against both Sifan Hassan of the Netherlands and Ethiopia’s Genzebe Dibaba for the first time when she lines up in front of a home crowd at DN Galan on Thursday evening. Diamond League action returns in Stockholm after a break in which the Commonwealth Games and continental championships took place, with a number of newly-crowned European champions set to compete. The women’s 1500m is the final event of the evening’s programme and it is a race in which Sweden will have two contenders as world champion Aregawi – who was beaten by world leader Hassan in Zurich – will be joined on the start line by Meraf Bahta, who took the European 5000m title ahead of the Dutch athlete. Britain’s Laura Weightman, who recently added European bronze to her Commonwealth silver, also competes, as does her compatriot Laura Muir and USA’s Jenny Simpson. Weightman and Muir are among the five British athletes currently set to compete, with 9.96 100m-man Chijindu Ujah entered for that event alongside Harry Aikines-Aryeetey and Rabah Yousif taking a step down in distance from the 400m to run half a lap in a pre-programme race. Ujah and Aikines-Aryeetey will line up alongside the likes of Jamaicans Nickel Ashmeade and Nesta Carter as well as Michael Rodgers of the US, while the women’s 200m features US sprinters Allyson Felix and Tori Bowie. France’s Cindy Billaud will be looking to make up for her loss to Britain’s Tiffany Porter in Zurich but she faces the likes of Olympic and Commonwealth champion Sally Pearson as well as Queen Harrison and Dawn Harper-Nelson of the US in the 100m hurdles in Stockholm. In the field, the three European javelin medallists Antti Ruuskanen, Viteslav Vesely and Tero Pitkamaki again do battle and will be joined by the Commonwealth gold medallist Julius Yego of Kenya, while Sandra Perkovic, Ruth Beitia and Renaud Lavillenie will be looking to continue their winning ways in the discus, high jump and pole vault respectively. Back on the track and there are some exiting clashes in the men’s 800m and 5000m. France’s Pierre-Ambroise Bosse is back in action in the shorter event following his eighth-place finish in Zurich. He’ll line up alongside the likes of Commonwealth and African champion Nijel Amos of Botswana and Ayanleh Souleiman of Djibouti. In the 5000m, Ethiopia’s Hagos Gebrhiwet will go up against the likes of Kenyan trio Caleb Ndiku, Edwin Soi and Isiah Koech as well as Galen Rupp of the US.